The occupation began on May 27, according to the group’s Facebook event page, and ran until June 2. During that time, activists used Holloway as a community space for workshops, yoga, music and self-defense. The Sisters finished up the week with a vigil in honor of the many women and non-binary people who have died inside the former prison. 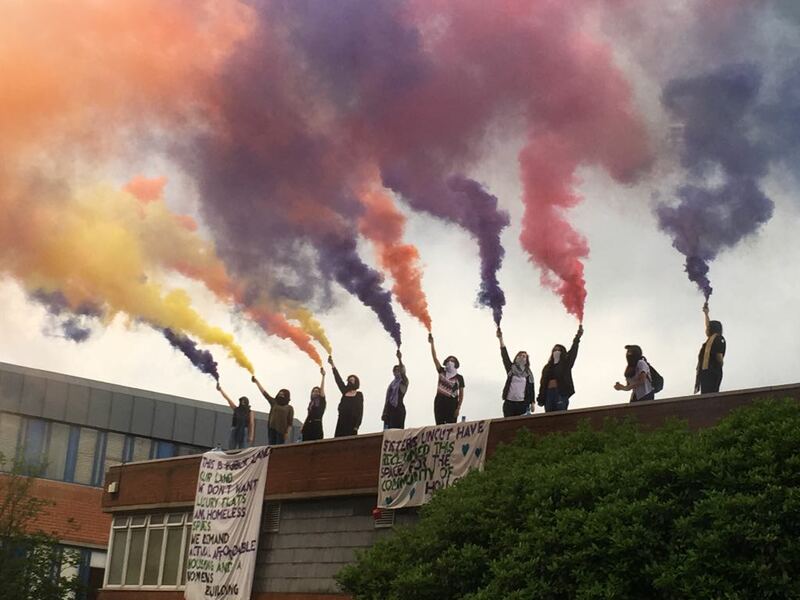 According to Sisters Uncut spokesperson Nandini Archer, activists entered Holloway through an open window and secured the visitors’ center after a 10-hour standoff with police. The Sisters Uncut demanded that the government convert Holloway to a women’s building and use its land for social housing. Before its closure in 2016, Holloway Prison spent a hundred years confining female prisoners. British suffragists were imprisoned and force-fed within its walls. The prison’s history is plagued with scandals regarding poor healthcare, sexual assault, and other forms of mistreatment of its inmates.